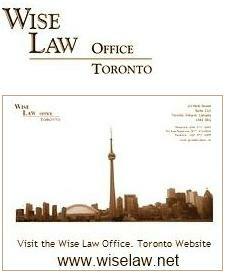 Wise Law Blog has won the bronze in the 2010 Canadian Blog Awards law blog category. I'm happy for the recognition - truly happy - and would like to thank those who nominated and voted for us this year. Congratulations are also in order for Law Diva and Legal Frontiers, which placed 1st and 2nd in the Canadian law blogger tallies. Cudos to the 2010 awards administrator, Jonathan Kleiman, whose many hours of toil and dedication have helped bring the 2010 awards process to a successful conclusion. 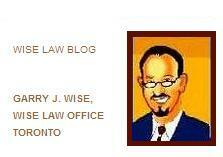 Mr. Kleiman is a Toronto lawyer who was called to the Ontario bar earlier this year. Not surprisingly, he is also a Law Is Cool alumnus. I had voiced some initial concerns about this year's Awards site and processes, which ultimately led Jonathan and I to make first contact this past week for some fruitful discussion. I am truly impressed by his openness and commitment to doing what is best for Canada's blogging community and its readers, and note that the Awards site itself has evolved quite nicely as the 2010 edition winds down to a close. There may have been a few bumps along the road, but at the end of the day, job well done, Mr. Kleiman. I understand there is an Awards meet-up planned, so follow the Canadian Blog Awards site for updates. 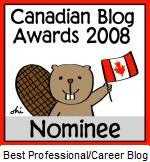 Finally, nominations for the inaugural Canadian Weblogs Awards come to a close today, so surf over and give your favorourite blogs your thumbs ups.